USB Button – For page turning and many other things! Last week we got an interesting request from one of our long-time Power Music users. 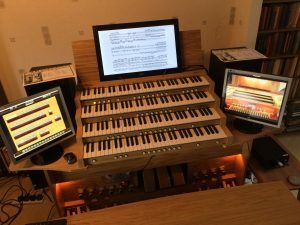 Kevin Bowyer is a (world famous) organist who uses Power Music on a number of organs and turns the pages by tapping the touchscreen. He recently has got an impressive new 4 manual organ installed in his house. His problem is that his arms are too short!! The distance to the touchscreen is 35 inches so he was looking for an alternative page turner – obviously not a foot pedal as his feet are very busy on the organ pedals! So after a bit of research we have found a company that produces a USB button which works perfectly with Power Music and hundreds of other apps. What are the implications for Power Music Users? 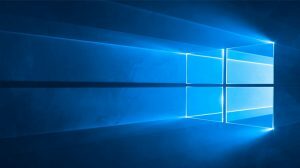 At the start of August, Microsoft began to offer users what they are calling the “Windows 10 Anniversary Update”. The name comes from the fact the Windows 10 was released on 29th July last year. The Anniversary Update updates Windows 10 from version 1511 to 1607. This is the second major update for Windows 10 since its launch. The previous update to 1511, known as the “November Update” was like a reinstall of Windows 10 on your PC. The “Anniversary Update” is the same. 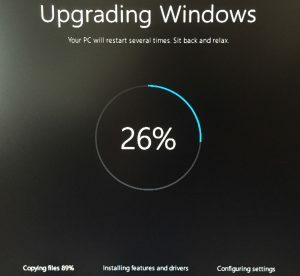 It appears to basically install a new version of Windows 10 on your PC. The previous version is still available to roll-back to if you “don’t like” 1607. 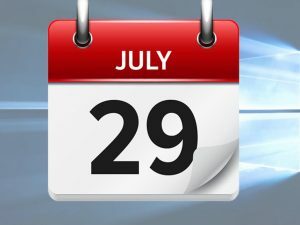 Today – 29th July 2016 – is the last day Microsoft will allow you to upgrade your Windows 7, 8 or 8.1 PC to Windows 10 for free!